North Carolina State Trooper Daniel Harrell was shot during a traffic stop Monday evening, and a massive manhunt is underway for the suspect in the shooting. State Trooper Harrell’s injuries are not considered life-threatening. 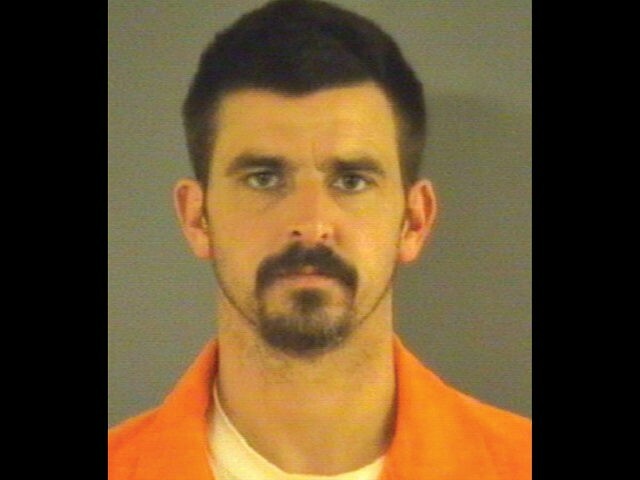 WRAL reports that police have identified 36-year-old John David Jones as the alleged man who pulled the trigger. He is considered armed and dangerous. Jones was “last seen wearing blue jeans, brown work boots and a green and dark blue coat.” He is approximately 6 feet tall, weighing 175 lbs. Jones was arrested in August on charges of theft as well as drug and other charges.